With less than a month until the March 6 primaries, it's hard to find a Republican nominating contest for the Legislature where the "bathroom bill" is a central issue. The "bathroom bill," once touted as a surefire issue for the 2018 Republican primaries, is barely registering in them with less than a month until Election Day. Last year, state lawmakers waded into an intense, emotional debate over whether the state should restrict which bathrooms transgender Texans could use, a priority of Lt. Gov. Dan Patrick that ultimately factored into a special session called by Gov. Greg Abbott. Amid months of all-night hearings and boisterous protests — culminating in the bill's failure — Republicans on both sides of the issue were bracing for every candidate's position on the "bathroom bill" to be a sort of litmus test in the 2018 primaries. Yet as of now, it is hard to find a GOP nominating contest for the Legislature where a candidate's position on the issue has emerged as a major point of contention, a far cry from the tone set the last time lawmakers met under the pink dome. "Let them go home and face the voters for the next 90 days," Patrick said on the last day of the special session, referring to lawmakers who had not been thoroughly supportive of the bathroom bill's various forms. Patrick also recalled a recent conversation he'd had with House Speaker Joe Straus — the bathroom bill's biggest obstacle — toward the end of the special session. "I said to the speaker, 'Pass this bill. Put this issue in the rear-view mirror. It’s not going away. It’s going to be a campaign issue in primaries and the general election.'" There could be a few reasons for the issue's low profile in the primaries so far. For starters, its biggest champion, Patrick, is no longer promoting it with remotely the same level of enthusiasm he did before and during the 2017 sessions. In October, he declared bathroom bill supporters had "already won" by sending a message to any school or business thinking about providing the kinds of accommodations that led to the push for the proposal in the first place. Furthermore, the two Republicans most closely associated with the legislation's death — Straus and state Rep. Byron Cook, R-Corsicana, the chairman of the House State Affairs Committee — are not seeking re-election, avoiding primary challenges that could have been shaped by their opposition to the proposal. "Let’s not forget Speaker Straus and Byron Cook were two big figures that are not coming back to the Texas House due in large part to their opposition to the privacy bill as well as other conservative reforms that are supported by Republican voters," said Jonathan Saenz, president of Texas Values, a social conservative group. Cook and Straus provided other reasons for retiring, but had long been under pressure from their caucus' most conservative members to advance their priorities. At the end of the day, it was Cook and Straus who shielded the other 93 Republicans in the House from taking politically perilous votes on the most high-profile versions of the legislation — votes that could come back to haunt members in their primaries. The only time the issue actually made it to the House floor — in the form of an amendment that Patrick later deemed inadequate — only one House Republican opposed it. That was state Rep. Sarah Davis of West University Place, whose primary challenger, Susanna Dokupil, appears less than eager to make an issue out of it. Asked twice about it in an interview that aired Sunday on Houston TV, Dokupil shifted attention to property taxes and school choice before acknowledging it. 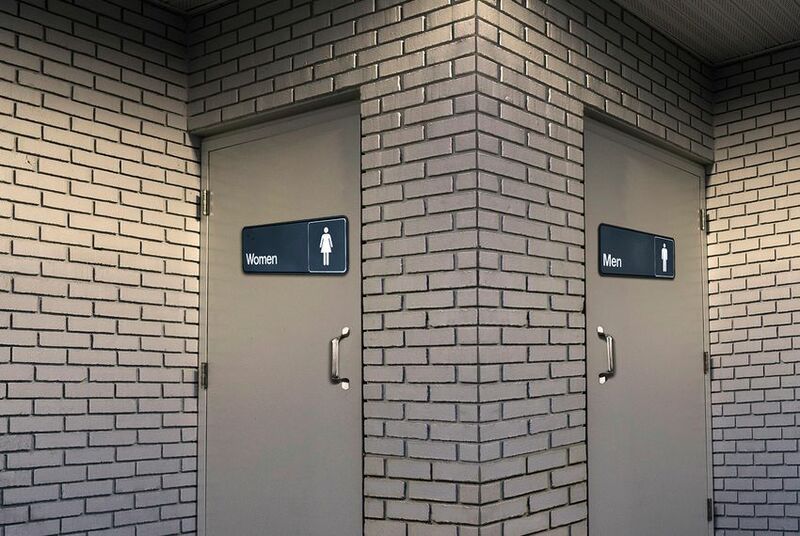 "The bathroom bill was also a bill that got a lot of attention, consumed a lot of energy, but you know, I don’t know if [it's] going to be coming back or not," Dokupil said. "What we do know is coming back is Gov. Abbott’s property tax reform proposal." To be clear, bathroom politics is not entirely missing from some primaries. In the open-seat race for Senate District 8, there was recently a skirmish over the decision by the Texas Association of Business to endorse Angela Paxton, leading her opponent, Phillip Huffines, to link her with "radical leftists" who fought the bathroom bill. She later clarified that as a mother, she supports "efforts to ensure privacy and I will make sure our children’s safety will never be compromised." Even in primaries with incumbents who openly opposed the bathroom bill, challengers appear to be prioritizing other issues. In most races, they would much rather attack the incumbent for being insufficiently committed to property tax reform or border security. Take for example state Rep. Ken King, R-Canadian, who had denounced the bathroom proposal as a "solution in search of a problem" and suggested Abbott made it part of the special session only to "prove he can be as far right as Dan Patrick." The campaign of King's primary opponent Jason Huddleston said it has bigger fish to fry. “Ken King is such a liberal Republican when it comes to border security, protecting the unborn and allowing government to grow that the bathroom bill is fourth or fifth on his most egregious stances with the Democrat Party," said Luke Macias, a political consultant for Huddleston. King was among the 14 House Republicans during the regular session who did not sign on to House Bill 2899, the lower chamber's version of the bathroom bill. Four are not running for re-election, either because they are retiring or seeking a higher office. Of the remaining 10, seven have drawn primary challengers — most of them credible threats but none of them staking their bids on the bathroom issue. In a small number of cases, primary challengers have sought to appeal to more moderate Republican voters by providing a contrast with incumbents who supported the bathroom bill. In her debut ad, Shannon McClendon, who's running against state Sen. Donna Campbell of New Braunfels, said the incumbent "wants the government to intrude into our bedroom, our bathrooms and our boardrooms — I want to focus on our classrooms." That's about as far as it goes among Republicans who weren't keen on the bathroom bill, though. Even the political arm of the TAB, among the legislation's biggest opponents last year, has kept talk of the issue at a minimum as it has sought to play a more aggressive role in the primaries. It snubbed a number of bathroom bill supporters in its primary endorsements, but it also backed some who unapologetically voted for it, like Campbell. While Straus has not sought to make the bathroom bill a central issue in primaries, he has cited its defeat as a success for the business community — and a reason why the community should remain politically active. He's made that argument in a slew of speeches to chambers of commerce since the special session and while announcing a House Select Committee on Economic Competitiveness in October. However, the timeline for that committee's findings — originally due Dec. 12, the day after the candidate filing deadline for the primaries — has been extended indefinitely, leaving its political impact uncertain. Outside the Republican primaries, the bathroom bill is catnip for Democratic candidates looking to prove Texas' GOP leaders are out of step with the priorities of average Texans. Lupe Valdez, the former Dallas County sheriff running for governor, likes to refer to the bathroom bill as one of many "charades" Texas Republicans have manufactured while giving short shrift to more pressing issues. The Texas Association of Business has been a financial supporter of The Texas Tribune, a nonprofit, nonpartisan news organization that is funded in part by donations from members, foundations and corporate sponsors. Financial supporters play no role in the Tribune's journalism. Find a complete list of them here.